This book explores the trend of retro and nostalgia within contemporary popular music culture. 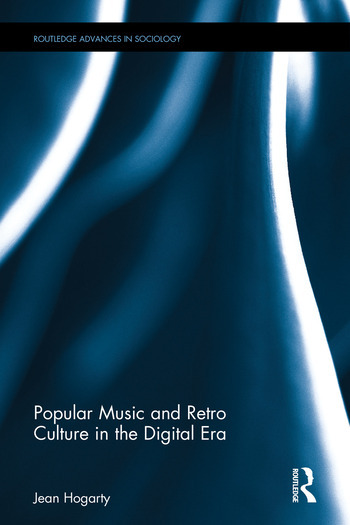 Using empirical evidence obtained from a case study of fans’ engagement with older music, the book argues that retro culture is the result of an inseparable mix of cultural and technological changes, namely, the rise of a new generation and cultural mood along with the encouragement of new technologies. Retro culture has become a hot topic in recent years but this is the first time the subject has been explored from an academic perspective and from the fans’ perspective. As such, this book promises to provide concrete answers about why retro culture dominates in contemporary society. For the first time ever, this book provides an empirically grounded theory of popular music, retro culture and its intergenerational audience in the twenty-first century. It will appeal to advanced students of popular music studies, cultural studies, media studies, sociology and music. Jean Hogarty is an independent scholar currently working at the Economic and Social Research Institute, having previously lectured at NUI Maynooth.